Mexican is a classic choice for dining out, and in recent years, the emergence of the fish taco has really spiced things up. Whether it’s a traditional food cart or a sit-down dining adventure you’re looking for, there’s a spot in Nevada serving up some of the best fish tacos you’ll ever have. Roll up your sleeves and dig into a fish taco at one of our top 10 choices in the state. Counter-style dining that offers fish tacos with a twist. You can sample a fish taco with an Asian fusion spin or even more of a Brazilian spiced. The variety is pretty amazing here, fish tacos is what they do best. The menu is extensive and the prices are beyond reasonable. Authentic flavors including flaky fresh fish to fill those fish tacos. Menu items include standard items and some more unique choices. The freshest ingredients start with handmade tortillas crafted on site. The fish tacos are the perfect mix of quality fish with fresh veggies. The no frills approach lets you focus on what is important, the amazing tasting tacos. This beach-themed spot is known for fine dining and Baja-style fish tacos cooked to perfection. The atmosphere is chic with just enough of a relaxed feel to transport you to the beach without leaving the desert. Cantina-style dining with no-frills, fresh fish tacos. This is a hometown favorite for both dining there or grabbing them to go. The quality is what you would expect from an authentic family style shop. A favorite lunch spot, the fish tacos are just one of many favorites on the menu. The dine in or to go option mean quick lunches. The prices are affordable and the tastes unmatched. Best known for their quirky take on nachos, they also do a mean taco. The variety of topping is fun and the fish is fresh. The atmosphere is sport bar-themed and its a fun place to hang with friends over some great food. This place is kept busy with locals. The portions are huge and the menu is authentic. 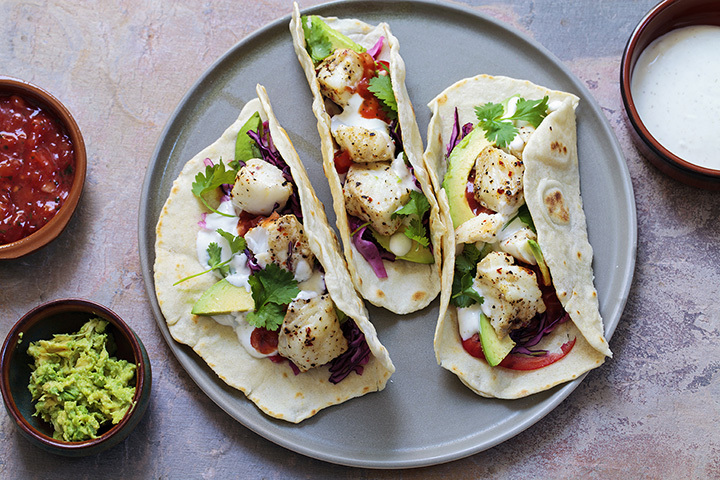 The fish tacos are Baja-style with plenty of fresh ingredients to fill you up. This place is often very busy because the food is that good. This is far more than just fish tacos, it is fine dining at it's best. The fish tacos are smooth and paired nicely with some amazing dressings. The atmosphere is great for a date night or celebration. A spot does not get anymore authentic than this festive dining experience. From the fresh fish tacos to the band playing there on the weekends, this place just feels like a little roadside attraction in Mexico. Be prepared to dance to the sound of the bands and work off a few of their yummy tacos.